Always a local’s favorite, Copper Mountain has upgraded its lifts and joined on to the new Ikon Pass, which launches this season. It’s a prime destination for both families and hard-chargers thanks to a wide variety of terrain. Here’s how to maximize your visit. Renting a condo with a kitchen means you can cook for yourself, but there are plenty of dining options for those who want to avoid washing dishes. Breakfast options include the relatively new Camp Hale Coffee with light bites caffeine to start the day. For a full-plate breakfast or good apres, swing by the new Toast & Co. in Center Village. And for an on-mountain lunch, hit Chuck’s Wagon Haus or Casa Sanchez (beware the siesta temptation afterwards). When the day is really done, park it at the Ten Mile Tavern for satisfying pub food and 20 beers on tap. Or indulge in a nice juicy steak at JJ’s Rocky Mountain Tavern in the East Village right next to the tubing hill. Family logistics are easy at the Center or West Village, thanks to childcare and ski school facilities. Visitors not in need should check out the East Village, with free shuttle bus service linking all of the village plazas. Booking with Copper Lodging comes with free use of the Copper Spa & Athletic Club. You can book at coppercolorado.com. Copper recently updated two chairlifts in the Center Village, The American Flyer, which jumps from a quad to a six-seat bubble-style lift, and the American Eagle quad, now with six-seat chairs and eight-seat gondola cabins. 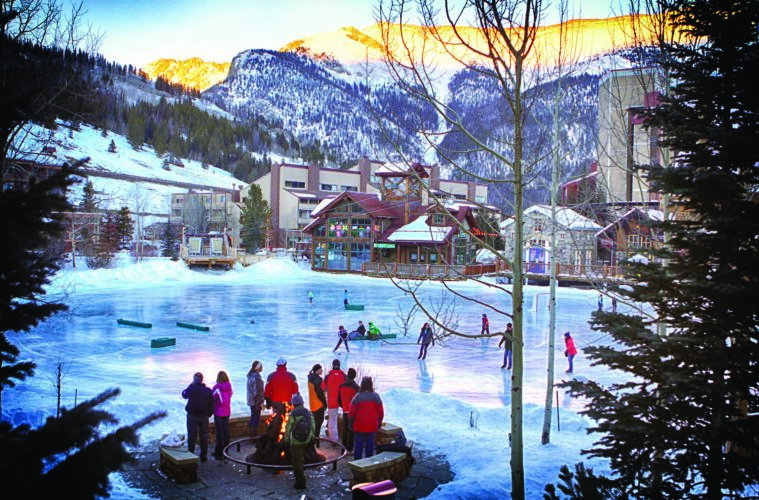 Center Village is the place to be for families with little babies who aren’t ready for ski school yet. Their cozy childcare space includes snacks and lunch, indoor and outdoor play and attention to nap time. Kids taking lessons head to the Schoolhouse in the West Village where they receive a handy tracker beacon so parents can follow what they ski.